The Suorin Drop Pod is a replacement refillable cartridge for the Suorin Drop, slotting perfectly in the top of the battery for a sleek, stylish finish. 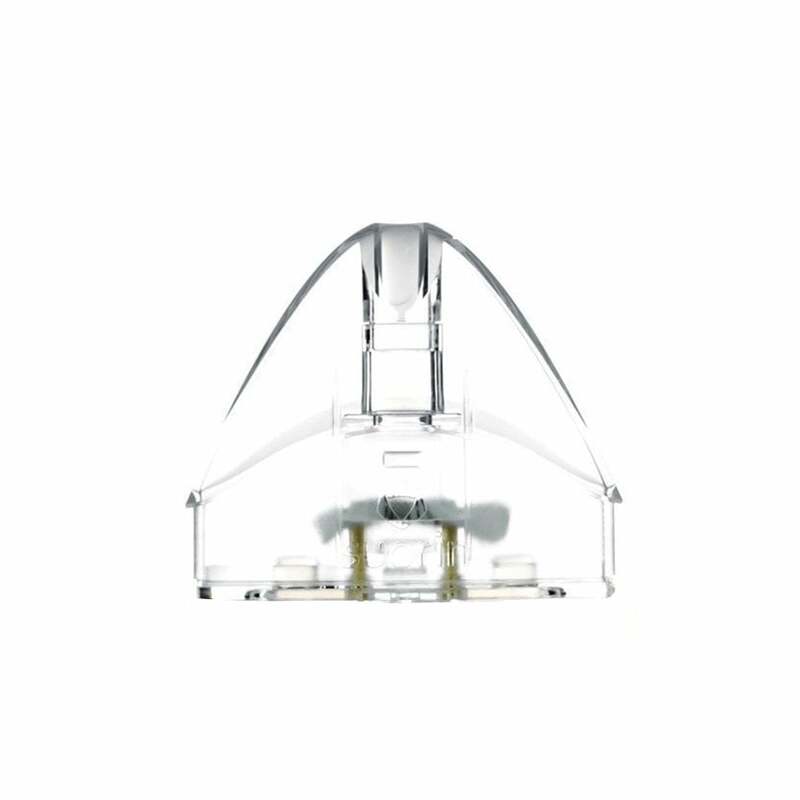 The Clear Pod allows you to see clearly how much nic salt juice you have left in your pod, making refilling easier than ever. Manufactured by Foxconn, who is best known for producing the iPhone and iPad, Suorin Drop Pods are beautifully designed and can deliver incredible flavor; just fill up your Suorin Drop cartridge with up to 2ml of your favorite vape juice and experience every flavor note in high-definition. When the flavor starts to deteriorate (after roughly 5 refills), you'll know it's time to replace your Drop Pod. Shop our Suorin Air Juice range by clicking here! To refill Suorin Clear Drop Pods, turn upside down and remove both of the plugs from the filling slots. Slowly drip your vape juice into each slot in turn, then make sure to push the plugs back in firmly. It’s so much easier to tell when the battery is low on the clear pods. I love them! Works well but did not know it would light up blue because it was clear. Otherwise I love it. I’ll just order the dark kind nest time. I love how easy it is to see when you need to fill! So much easier to see how much juice you have left than the dark ones! Suorin, please make these for the rest of your pod mods! I own a Drop, an Edge, an Ishare, a Vagon, an Air. My biggest complaint with all of them, except this clear pod, is it is too hard to see how much juice is left. You make fine products, so now enhance them all with clear pods, Please.